Photo courtesy Pacific Opera Project. 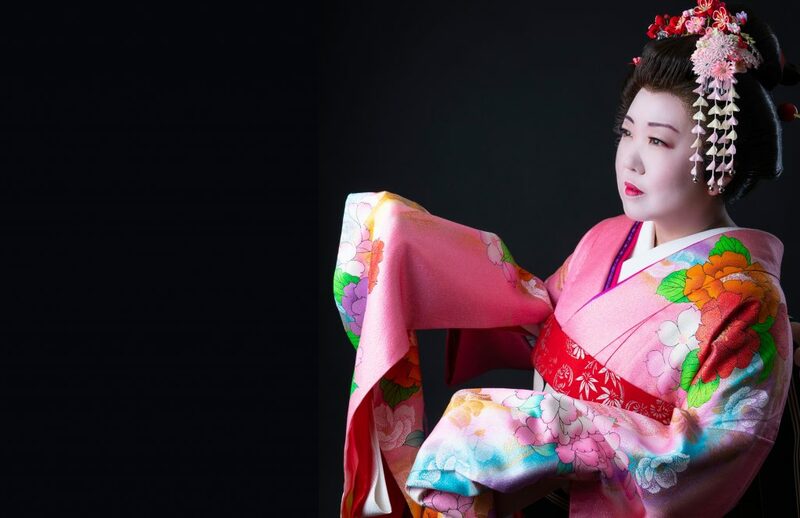 On Saturday, April 6th, and continuing with two more performances the next weekend, Pacific Opera Project will present a new production of Puccini’s beloved opera Madama Butterfly at the Artani Theatre in Little Tokyo. Originally written and traditionally sung in Italian, POP will be presenting the opera in a new, bilingual translation by POP director Josh Shaw and Eiki Isomura. In POP’s production, the American characters will sing their lines in English, while the Japanese characters, portrayed by Japanese-American singers, will sing in Japanese. Mr. Shaw answered some of our questions about the new production. The LA Beat: Madama Butterfly in some ways seems like an opera that shouldn’t work in the 21st century at all. The score, written by an Italian who had never even set foot in Japan, would surely face charges of cultural appropriation were it written today. How does the opera transcend these origins to speak to a modern audience, both musically and dramatically? Josh Shaw: This is a story of love (or lust, depending on your opinion) and heartbreak, two themes that are universal. We’ve all had that day/week/month of infatuation with someone, only to find out down the road that they are flawed and/or we are flawed. I am so proud of this production, the cast, and the company for doing this. POP is of course best known for our comic takes on operas, but here we are proving there are ways to make the most dramatic of operas more accessible and more entertaining. This concept can certainly appeal to a first time opera goer, but it should also be eye opening and thought provoking for someone who has seen the opera 20 times. And of course under all the language changes and “gimmicks” there is still Puccini’s incredible score, sung by a fantastic cast and played by one of our best orchestral ensembles yet. What does this production have to say about the opera, both the issues presented it by the text and to society by its content? The content I don’t worry about. We’re telling the story exactly as it was written. People can have their opinions about cultural appropriation, misrepresentation, and all the other baggage that comes with this show, but they need to remember that this is just a story — fiction. What this production does is tell the story in a more interesting, or at least more realistic, way. Those of us who know Madama Butterfly in and out are so accustomed to the complete lack of realism (Pinkerton and Butterfly speaking the same language), that it is almost impossible to distance ourselves from that convention. This production will force you to look at the story in a new context. Among your intentions is to present the story of Butterfly as though it really happened, so I’m interested in what types of research you and co-librettist Eiki Isomura undertook and what you found out doing it. I’ve been in and directed Butterfly multiple times, so I did all the source material research years ago and did not need to do that again this time. And it was our intention to stay as faithful to the word-for-word literal translation as possible — both in English and Japanese. So the text was our guide. When it comes to staging, it has been amazing to have a room full of 40 Japanese-Americans (singers and staff) who can constantly serve as consultants. “Would you bow here?” “We would definitely remove our shoes here.” Etc, etc, etc. Everyone once in a while a certain mannerism or custom proves too distracting or time consuming to fit with the music, but for the most part we are following all their guides. In translating the opera from Italian to English and Japanese, were there things that you felt were lost, gained and and/or discovered? Lost? Occasionally you miss people singing the same words (vowels) in the duets and ensembles and the clarity and beauty that provides, but more often than not, it just sounds cool. Gained? A new understanding for the situation of both Pinkerton and Butterfly and just how lost both of them are at points in terms of being completely oblivious to what the other and those around them are saying to them and about them. Discovered? Just how ingrained the idea that everyone is somehow speaking the same language is in our minds as fans of this opera. Performances are Saturday April 6 7:00 pm, Saturday April 13 7:00 pm, Sunday April 14 2:00 pm. At the Aratani Theatre, 244 San Pedro Street, Los Angeles, CA 90012. Tickets $15-75. For more information, visit Pacific Opera Project on the web. This entry was posted in Art, Attractions, Events, Interviews, Miscellanious, Music, Theater, Upcoming Events. Bookmark the permalink.